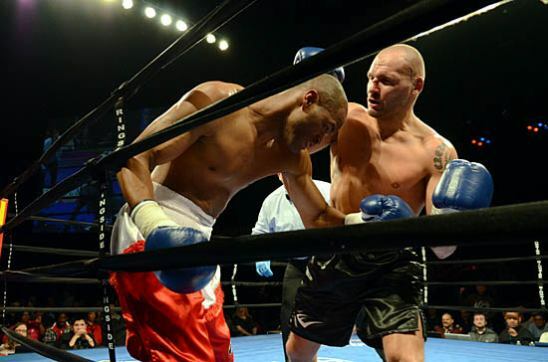 Tickets for This Friday’s ‘ESPN Friday Night Fights’ Show at UIC Pavilion Moving at Record Pace! 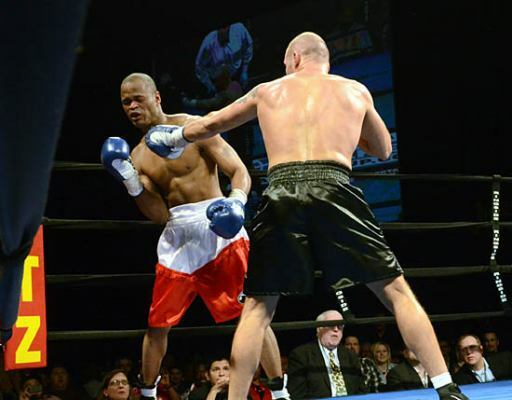 CHICAGO, January 27, 2013 — Advance tickets for the FEBRUARY 1 ESPN Friday Night Fights professional boxing event at the UIC Pavilion in Chicago are selling at a record pace according to promoter Dominic Pesoli of 8 Count Productions. 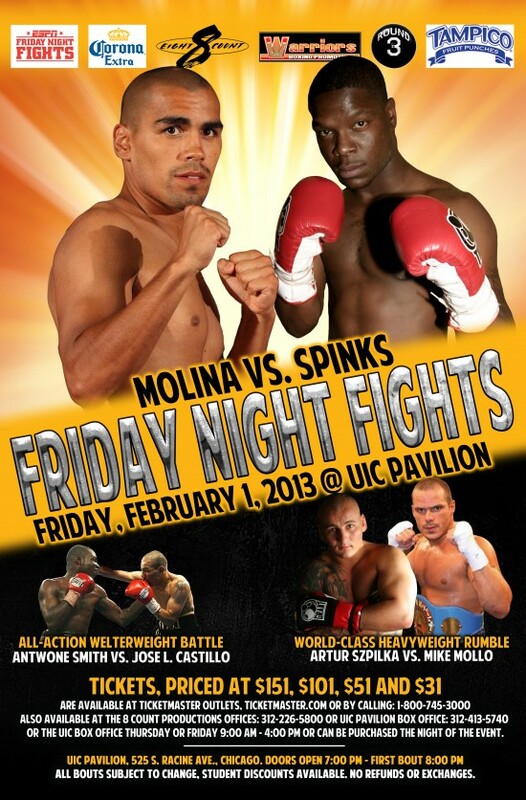 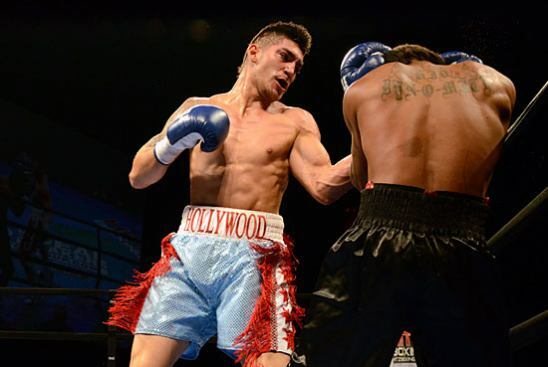 Ticket Alert — ESPN Friday Night Fights Pits Molina vs. Spinks at UIC Pavilion Feb. 1st! 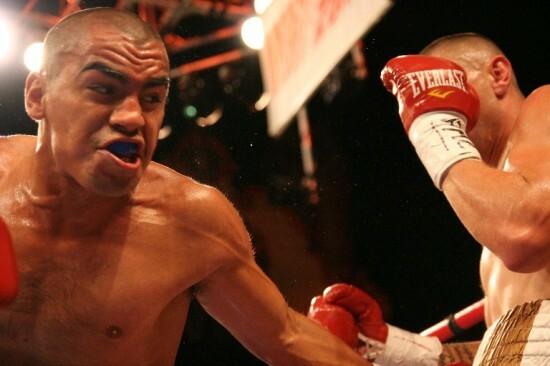 CHICAGO — ESPN Friday Night Fights will return to the UIC Pavilion on FEBRUARY 1, 2013 headlined by an IBF Junior Middleweight Title Eliminator between Chicago fan favorite and perennial contender “King” Carlos Molina and two division and five-time world champion Cory “The Next Generation” Spinks.